The upside to all this was that we were inside an amazing area of natural beauty. 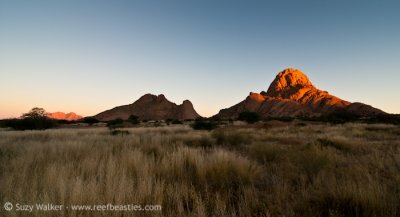 According to Wikipedia the granite at Spitzkoppe is more than 700 million years old and the highest outcrop rises about 1784 meters (5857 feet) above sea level. 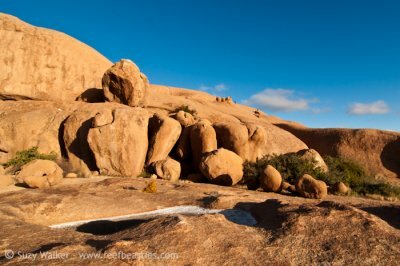 There are plenty of large rocky areas to scrabble up and admire the view from. 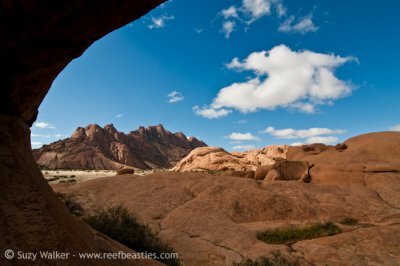 There is a cool looking rock arch which we particularly liked. 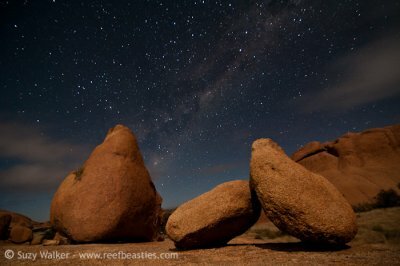 In the evening some of us stayed out a little longer to photograph the stars & rocks before heading back to camp. Unfortunately the clouds rolled in – although in some ways I think they make an interesting effect. The moon was also very bright that evening so we experimented with light from the torch on the rocks and took some shots of that and some with only moonshine lighting them. In the morning there was no point staying cold in bed so I got up and went up to the rock arch to watch to dawn spread through the landscape. I really enjoyed seeing the light hit a small piece of fog that drifted in for a short time too, it was all very peaceful. 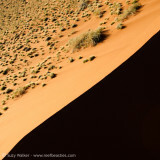 To see more images like this go to my Namibia Gallery on pbase. 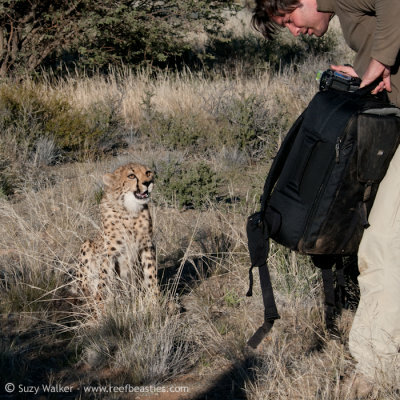 We went with a company called Squiver, run by Marsel van Oosten & Daniëlla Sibbing. 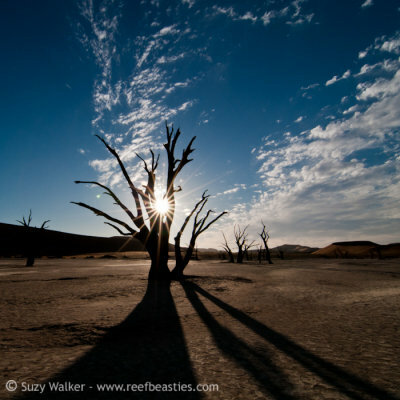 The trip covers thousands of miles across Namibia so much of the time was spent travelling between amazing places, I’ll be splitting the trip report over 5 posts. This is post 4. The index page for this series is here. 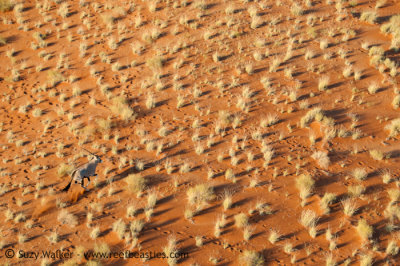 Up next is the amazing wildlife national park Etosha and some safari photos. 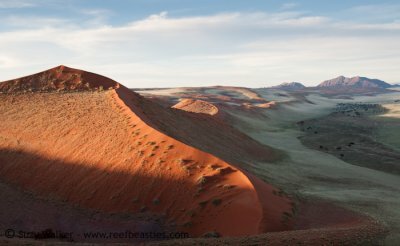 Our third major stop in our tour of Namibia was to see the famous red sand dunes at sossusvlei (Namib Rand Nature Reserve). We stayed inside the park at Sossusvlei Dune Lodge where we each had luxury eco rooms on stilts (see the sunset at the lodge photo right). 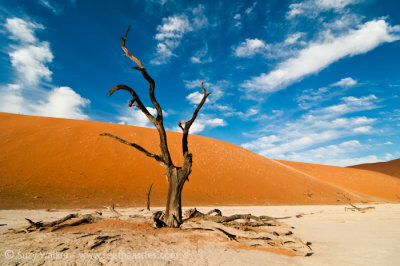 Most of the fun was at Deadvlei where we took photos of the surreal dead camelthorn trees with the dunes behind them. 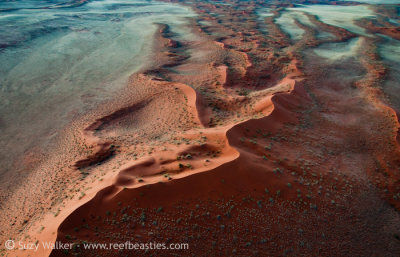 Every time I see photos of them though I remember the seemingly endless walk through red sand to get there. 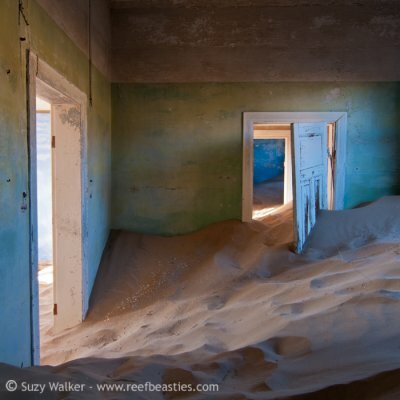 I’m glad I wasn’t one of the few that decided to scale the ridge of the dune known as “big mamma”! Some brave souls left their cameras here overnight for star trails whilst we drove 60k back to our lodge but I wasn’t brave enough. I kept thinking that some animals would knock over the camera. Plus those people then had to get up at 3:30am the next day to go get them while it was still very dark & photograph the dawn! This is the day I opted for a lie-in 😉 Instead I took Milky way static star photos before we left in the evening. Daniëlla was our kind light mistress for this one (ie. she painted the light onto the tree with her torch while Marsel and I took pictures). Yet another excellent reason to go on the group photo trip with Marsel & Daniëlla is that they are the only trip that offers Microlighting over the dunes. The microlight pilot Klaus has to fly a long way to get there for them to offer this and it was so much fun! It’s a cross between a motorbike & a hand glider (but much less scary for me than a motor bike). The helmets had an intercom so you could tell Klaus which bits you wanted to see, go higher or lower or over the same dune again etc. 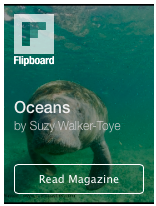 We went with a company called Squiver, run by Marsel van Oosten & Daniëlla Sibbing. 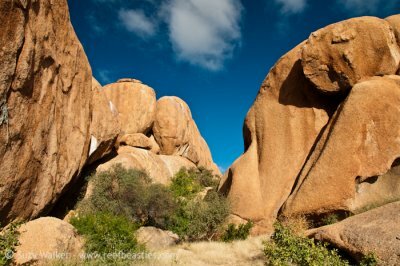 The trip covers thousands of miles across Namibia so much of the time was spent travelling between amazing places, I’ll be splitting the trip report over 5 posts. This is post 3. The index page for this series is here. 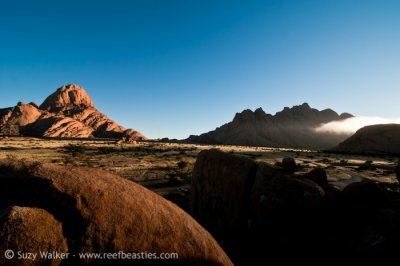 Up next is the rocky landscape at Spitzkoppe. 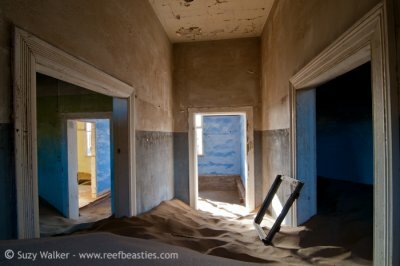 The second post on our Namibia trip brings us to Kolmanskop where the desert is slowly taking over an abandoned diamond mining village. The only disappointing part of this bit of the trip is I didn’t find any uncut diamonds lying around for me to collect (believe me I checked)! There was so much to see and photograph here I could have easily done with one more day so we would have had two more chances at seeing the buildings with the light coming in one way in the evening and the other in the morning. The other thing that would have been very handy was a shift lens (Mike had one and zipped around all the buildings taking amazing shots with lots of straight lines whilst the rest of us struggled to get nice compositions of the interiors with funky wide angle lens perspective). I didn’t take many photos of the exteriors (just a couple with my iphone) because for the most part the light outside was very harsh. I expect I would have done if we’d had more time. 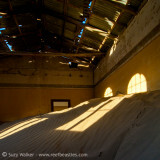 We had special permits to enter the place earlier and leave later than normal visitors to catch the nice light. 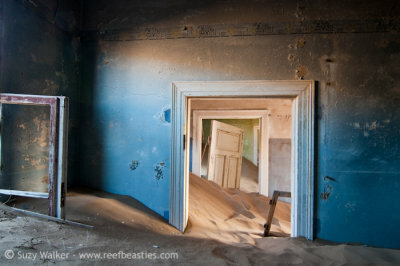 The room that everyone wanted to see was the “blue room” (see the first image in the post) but it was hard to get to and you had to climb in through a window and try not to disturb the sand. 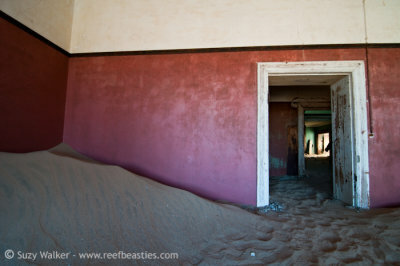 My favourite rooms were the ones with untouched sand (of course) but also those with nice colour walls and some good doorways. I also really liked the spooky empty hospital. 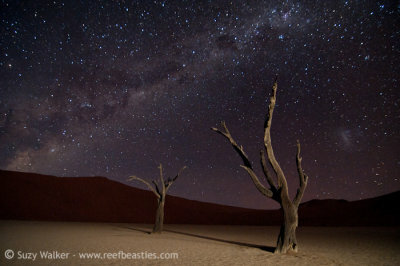 As promised here is my round up of what we saw in our Namibia photo trip at the quiver tree forest near Keetmanshoop. We stopped here for a couple of nights. To be honest I got a little tree’d-out and I think that part of the trip perhaps could have been squished into fewer days. 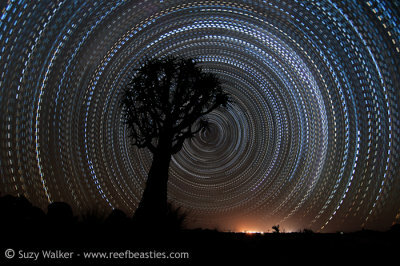 It did however give me a chance to try out my very first star trail picture. 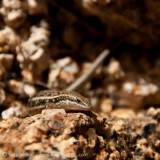 It was terrifying leaving my camera behind and not knowing if I’d ever see it again. Marsel gave us a little talk on how to do the star trails. You have to take a base picture before the stars come out (to get the colour of the foreground painted in). 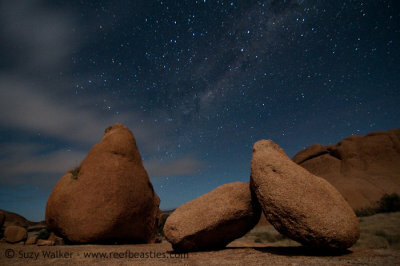 Then take photos of 5 min exposures with 1 second interval for as long as the battery lasts. Unfortunately my programmable timer remote worked a little different to the standard one and I accidently programmed it for take one 5 min exposure every 5mins and 1 second. DOH! 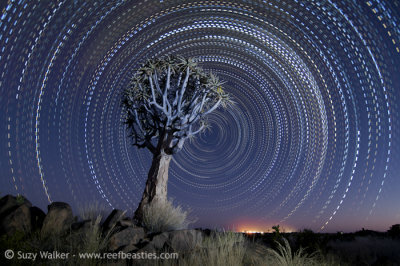 Hence I give you the Morse code star trail below! The first is without the base image loaded (just all the star exposures stacked up in photoshop with the layer set to lighten). The send is the same but with the base layer included. I quite like them both. 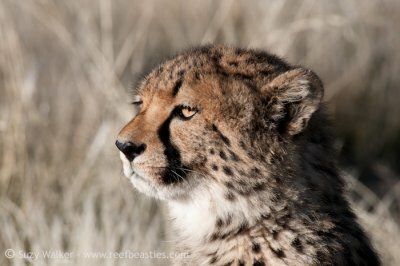 The best part of this bit of the trip for me was seeing the cheetah residents being feed. There was a mother (who came over purring for a stroke) and two younger ones who both had a fondness for ripping up camera backpacks (if they could get them). I wanted to do a post about our Namibia photo trip as promised (even though I haven’t quite finished processing the photos) but I’m going to have to do it over several posts because the trip covered thousands of miles across Namibia (on a coach driven by an entertaining man called Wimpie) so much of the time was spent travelling between amazing places. I’ve logged the rough route below in a google map and I’ve listed the forth coming posts (which I’ll update with links as I get there). 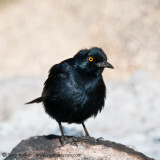 We went with a company called Squiver, run by a lovely Dutch husband and wife team Marsel van Oosten & Daniëlla Sibbing. 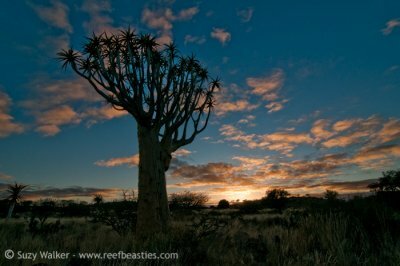 • First stop, the quiver tree forest near Keetmanshoop to photograph quiver trees & tame cheetahs. 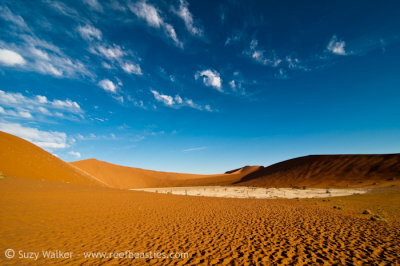 • Then we packed up and drove all the way to Namib Naukluft Park (to stay in the lovely Sossusvlei Dune Lodge) to spend time seeing the sand dunes – amazing! 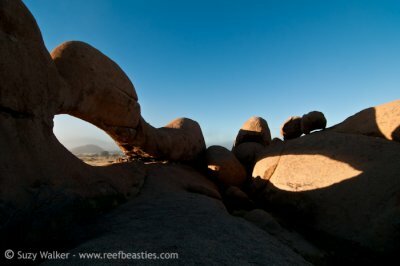 • Up to Spitzkoppe (via Swakopmund but we didn’t really take any pictures here) to see some rocks. The trip over all was great fun. Not at all the photos that I usually take. Mike very much enjoyed himself too. 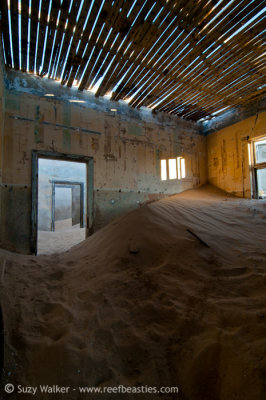 You can see the currently unfinished set of my images here (some of which will be appearing in the posts to come) and Mikes Namibia Flickr set here. 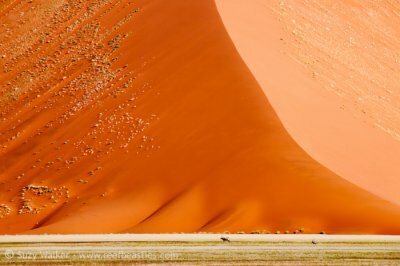 This theme is timed very well for me as most of the photos I’m currently processing are from Namibia in Africa and if that isnt a wilderness I wouldnt know what is! 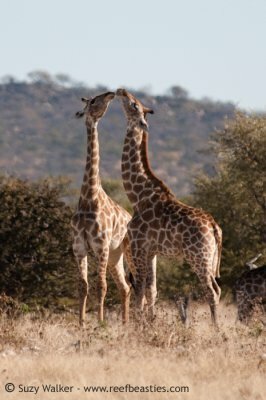 Today I bring you some giraffe love as two giraffe greet each other nearby the waterhole where we were parked in Etosha. 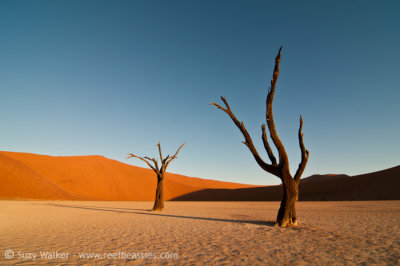 If you want to see more of my Namibia photos then check out other photos in my Namibia 2011 Gallery. 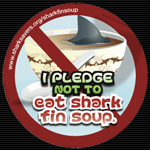 Although not completed I’m filling with with a few more every chance I get. See all the other photo Friday entries (and submit your own) for ‘Wilderness’ here. I’ve been gone for a bit – did you miss me? I know I haven’t finished uploading the Manatee photos from Florida but I’m here with something completely different. I’m just back from Namibia, Africa, from a rare (for me) land based trip (we were supposed to go diving in Mexico with Martin Edge but that got cancelled by the operator so we did this instead). I’ll be back with a full trip post soon but here’s a few to whet the appetite. 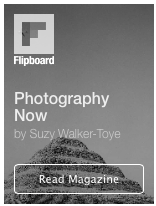 The gallery I’ll be posting to is here if you want to watch them trickle in.